Two Dollar Radio, 9781937512132, 186pp. 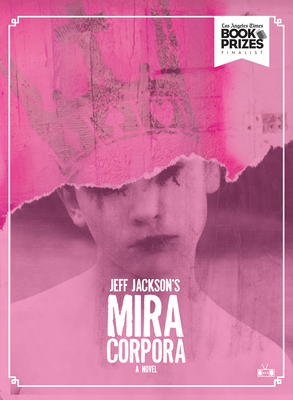 Mira Corpora is the debut novel from acclaimed playwright Jeff Jackson, an inspired, dreamlike adventure by a distinctive new talent. Literary and inventive, but also fast-paced and gripping, Mira Corpora charts the journey of a young runaway. A coming-of-age story for people who hate coming-of-age stories, featuring a colony of outcast children, teenage oracles, amusement parks haunted by gibbons, mysterious cassette tapes, and a reclusive underground rockstar. With astounding precision, Jackson weaves a moving tale of discovery and self-preservation across a startling, vibrant landscape. Jeff Jackson holds an MFA from NYU and is the recipient of fellowships from the MacDowell Colony and Virginia Center for the Creative Arts. Four of his plays have been produced by the Obie Award-winning Collapsable Giraffe company. He lives with his wife in Charlotte, NC.